Beware! 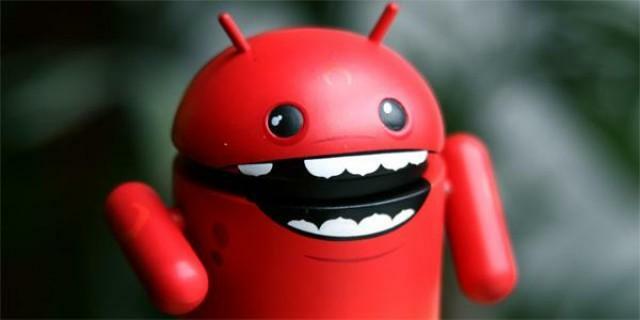 90% of Android devices may be affected by deadly ‘GODLESS’ Mobile Malware. Android is an open source operating system widely used across the world, however it is prone to malwares. Despite such problems, consumers continue to enjoy the benefits from Google simply because the OS is one of the best out there. Trend Micro, a global software security company headquartered at Tokyo, Japan, has come out with a shocking report that a family of mobile malwares, named GODLESS, has targeted smartphones running on Android 5.1 or earlier. The malicious apps associated with this malware can be found on app stores, including Google Play Store and has already affected over 8,50,000 devices around the world. 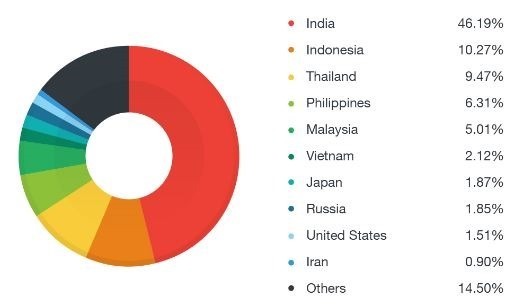 As of now, India captures the highest share of affected devices at 46%, followed by Indonesia and Thailand at around 10% each. Why is GODLESS so deadly? This family of malwares has the ability to root your device, which further grants it access to install anything on your device. The malware can even force your credentials in Google Play Store to download unwanted apps while you’re not looking. The unwanted apps lead to unwanted ads and possibly leading to spamware and more malware. Unrooting the smartphone also gives the malware remote access to your smartphone, which can be used for illicit activities like spying and real-time tracking. It is as scary as someone else using your smartphone, looking up the contacts, glancing through personal messages and going through your call logs. We fret giving our smartphone to a friend, let alone a stranger. The best way would be to download apps from Google Play Store itself, considering Google does regular security checks and the recurring updates tend to be clean and safe to download. Downloading from other app stores on the internet can lead to malwares in your smartphone, unless the developer is known and well recognized. Even then, download the app if and only if it is of utmost importance and there is no workaround in Google Play for the same. You can download few Antivirus softwares to get an extra protection. Google and associated handset makers also regularly release security patches that make sure malwares and spyware do not infiltrate smartphones. In case you notice some unknown apps downloaded on your smartphone, the best way to get rid of them would be to wipe your system clean after taking backup of all the important information. Even then, there is no guarantee that malware won’t get into your phone, and it is best to take precautions in this world of cyberbullying and cyber crime. Stay wary of unknown developers and keep checking for any unknown apps on your smartphone. Top 5 best Material design Music players of 2018 for Android.